From planning your meals in advance to getting enough sleep, here are a few strategies that can keep you on track to hit your health and fitness goals this year. Did you fall off the healthy bandwagon during the holidays? Has the new year brought new resolutions that have been a struggle to keep up with? 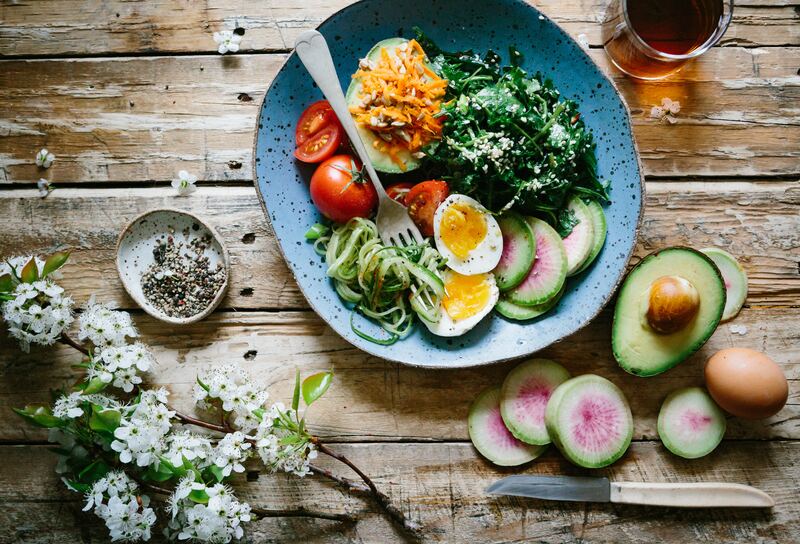 No matter your reasoning behind wanting to get back on track to a healthier lifestyle, here are a few tips on how to keep up with the healthy goals you’ve set for yourself. If you started out the year strong and then started to falter, don’t feel bad! Beating yourself up about getting off track will only make you lose motivation and send you into a downward spiral of negative thoughts and self-doubt. Don’t let failures set you back—take them as an opportunity to learn and start fresh. Going off the last tip, try to analyze what worked and what didn’t work the last time you set healthy goals for yourself. This will help pinpoint areas you struggle with and need to work on. For example, did cutting out all junk food cause you to crave more food during meals? Did you set too high of a goal when you said you would work out for an hour every day? Were you following a program that was too strict? Think about what caused you to fall off track and consider pivoting your regimen to something slightly more doable. If you slipped up last month, don’t try to overcompensate with extreme dieting and exercise this month. Not only is this unhealthy, but you may lose weight only to gain it back shortly after. This could cause an unhealthy weight gain and loss routine that affects motivation and causes self-doubt. Getting enough sleep each night helps relieve stress, boosts energy, improves concentration, and curbs appetite. Try to get on a regular sleep and wake schedule and create a peaceful sleep environment, making sure there are no distractions that could affect your sleep schedule. Repair any appliances that make loud noises throughout the night, turn off all your lights while you’re sleeping, and put your phone on “Do Not Disturb” mode. When you get hungry, it’s very easy to overeat. To avoid this, consider meal prepping and having healthy snacks readily available to curb hunger. Not only will meal prepping ensure you know exactly what you’re eating, but it also saves you time from having to prepare multiple meals throughout the week. Cutting out all of your favorite foods might make meals less appealing and make you more prone to steering off course. Instead of cutting out all of your favorite foods, try choosing healthier options, like low-fat frozen yogurt instead of ice cream or zoodles instead of regular spaghetti. Additionally, try to incorporate smaller portions of your favorite foods into weekly meals so you aren’t restricting yourself too much. Realistically, it may not be possible to work out every day, especially if you have a ton of errands to run and work that never seems to end. Despite being so busy, this doesn’t mean you can’t squeeze in a quick workout. Try incorporating a 20-minute HIIT workout each morning or light yoga right before bed. Even something as small as a 20-minute walk on your lunch break or doing chores will help relieve boredom and stress, both of which can lead to overeating. A huge factor in ensuring you stay on track in your quest for a healthier lifestyle is to not get too bored. Whether it’s trying a new recipe each week or getting excited for a new gym or fitness class you’re starting, spicing up your diet and fitness regimen will ensure you don’t get bored and help you stay on track to hit your health and fitness goals.